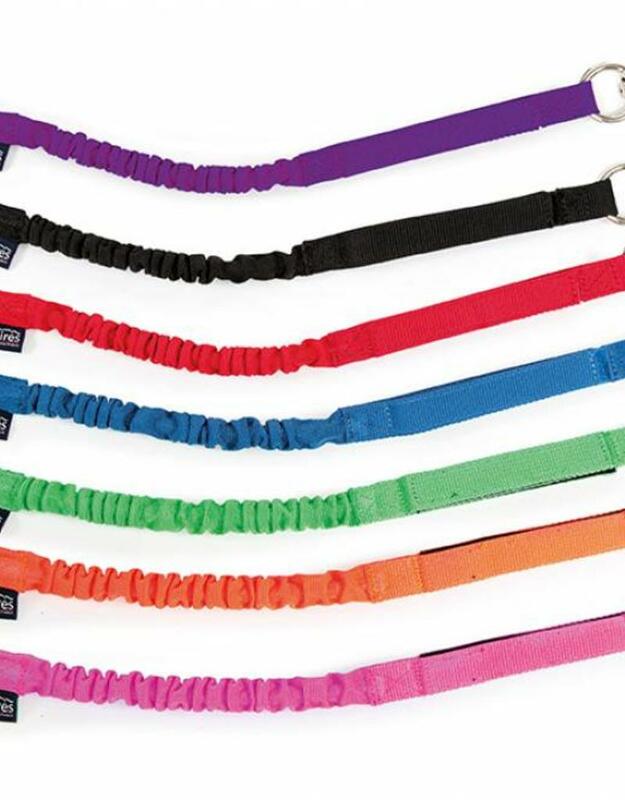 Cheerful bungee for safe tethering in the yard or to the horsebox. Panic release clip at one end (for attaching to the headcollar) and trigger clip at the other. Total unstretched length 76cm. Trailer ties absorb jolts and resistance, offering freedom of movement and peace of mind.